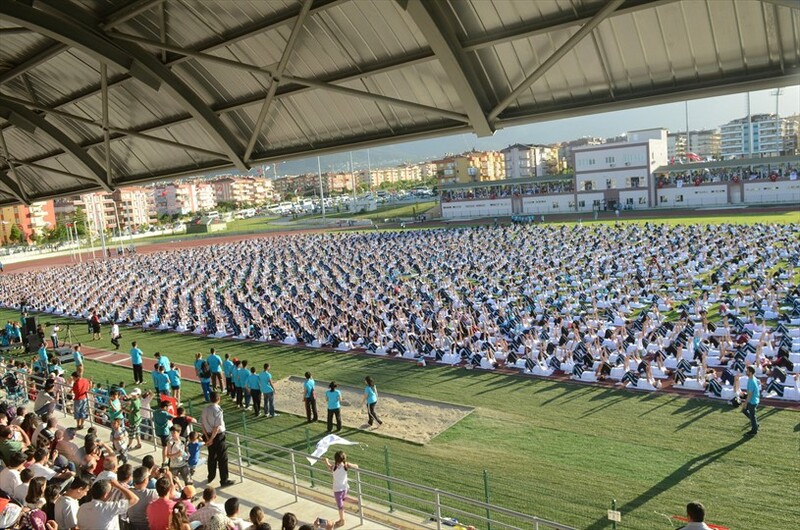 Denizli Municipality has won the world record for Pilates with the participation of 3.486 women simultaneously in one place. 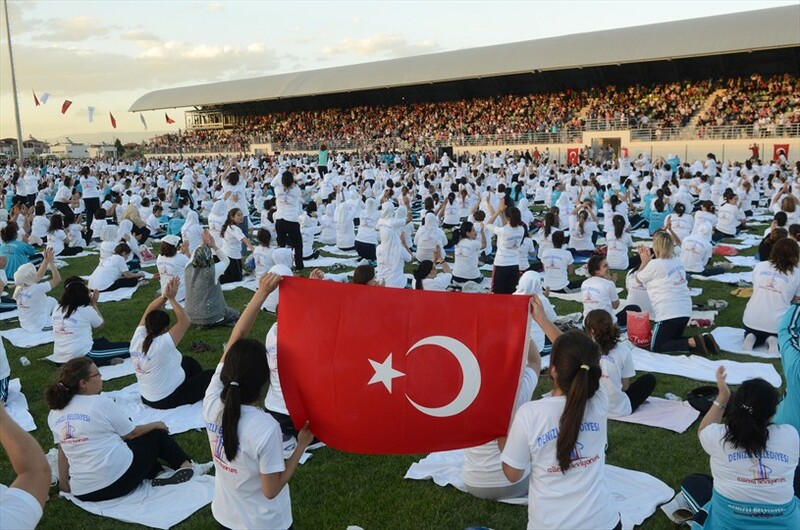 Women, who participated in Pilates courses took their places in Traditional Turkish Sports Complex hours before the record attempt. 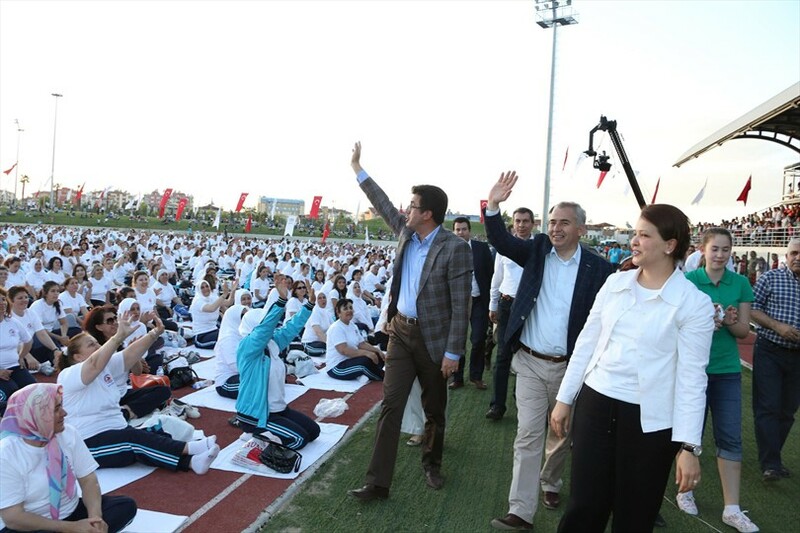 Mayor Osman Zolan, MPs Nihat Zeybekci, Nurcan Dalbudak, deputy mayors and thousands of citizens witnessed the historic moment. 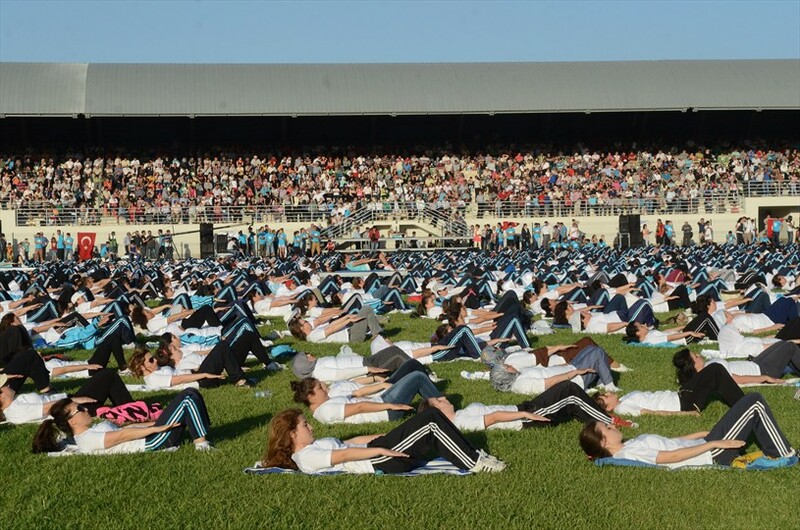 Participants of record attempt were counted one by one by officials of Guinness. 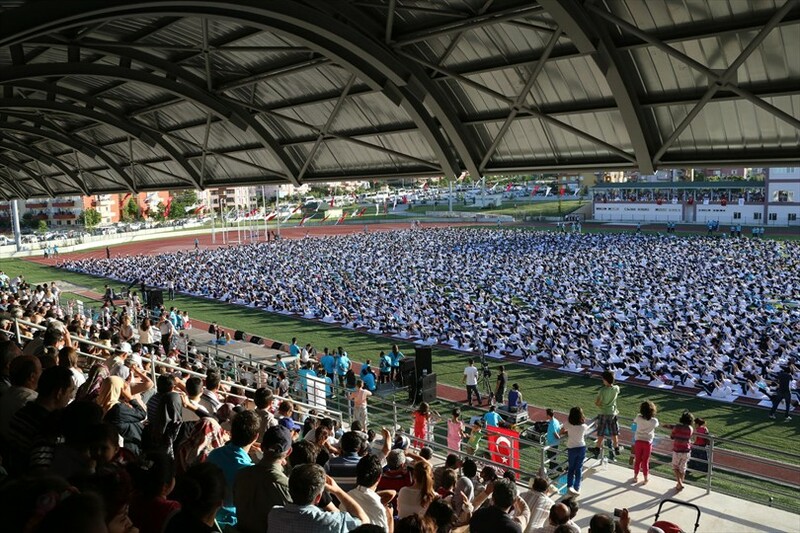 3 thousand 486 women came to the area. 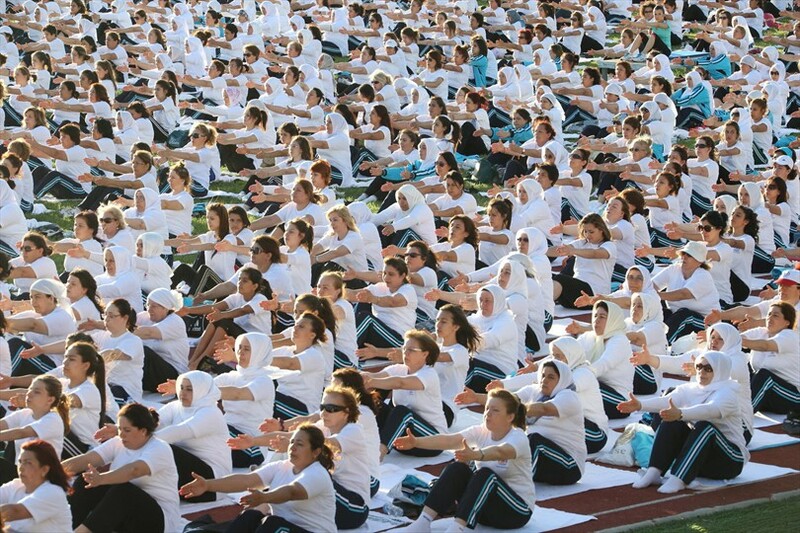 Ladies, accompanied by Pilates instructor Aysel Akman did pilates simultaneously. 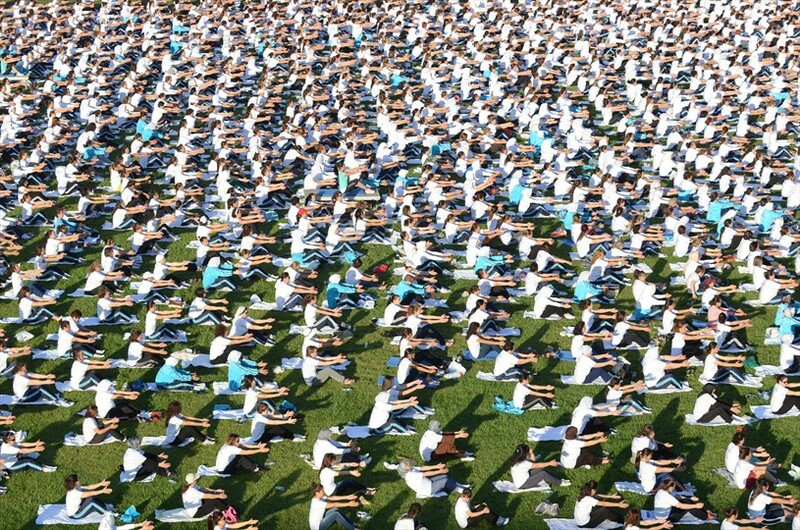 Record was broken with a 45-minute pilates. 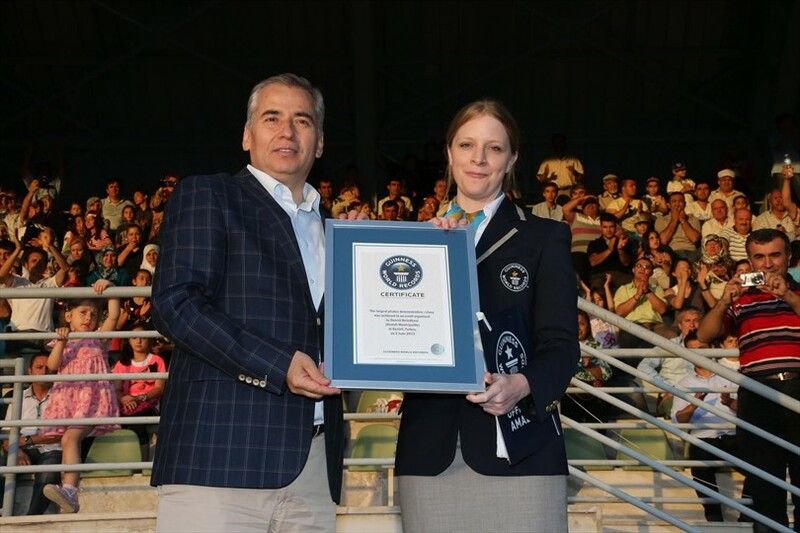 Representative of Guinness from England Annabel Lawday announced, that 3.486 Denizli women have won the world record. Annabel Lawday presented certificate of Guinness Record to Osman Zolan. 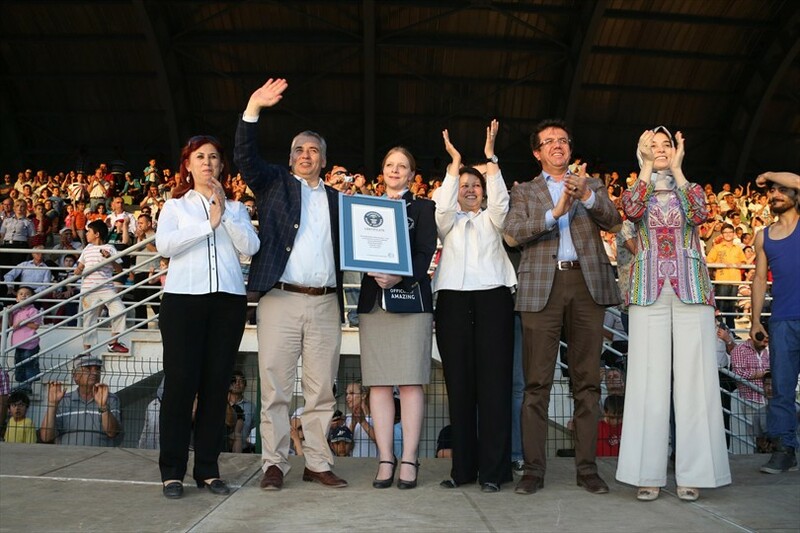 Mayor: 'Denizli women wrote the name of Denizli in the Guinness Book of Records. 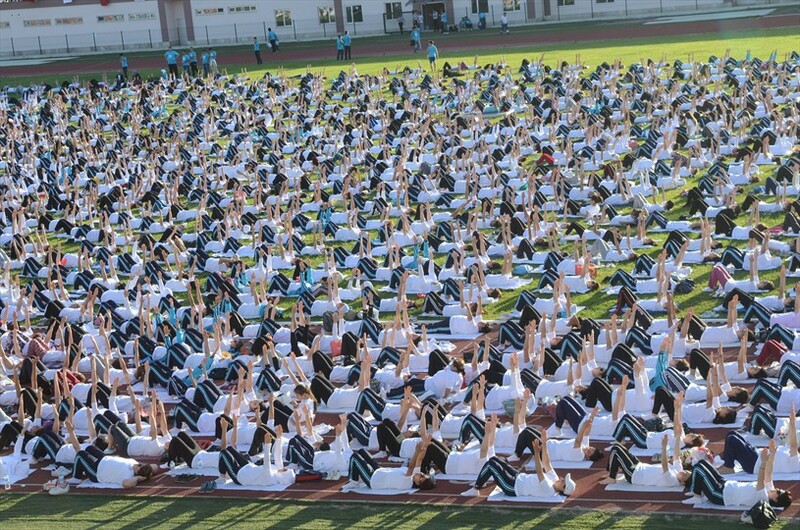 Participants of Pilates courses entered a Guinness Book of Records. 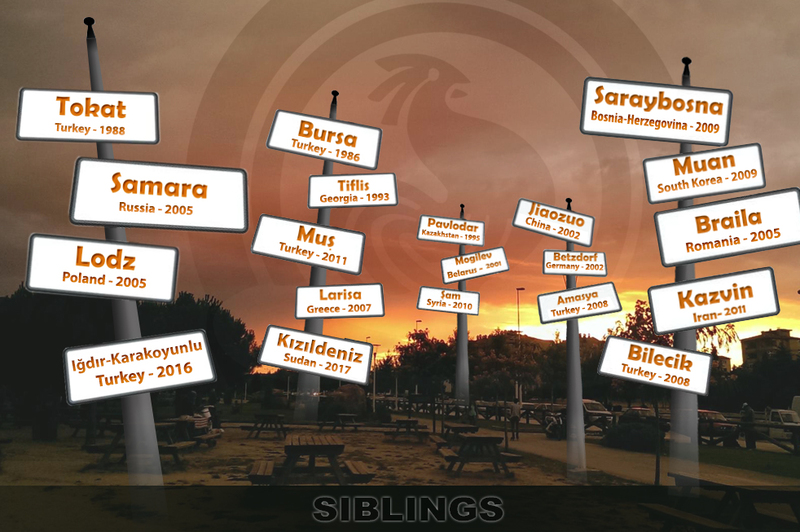 Denizli women made history today. 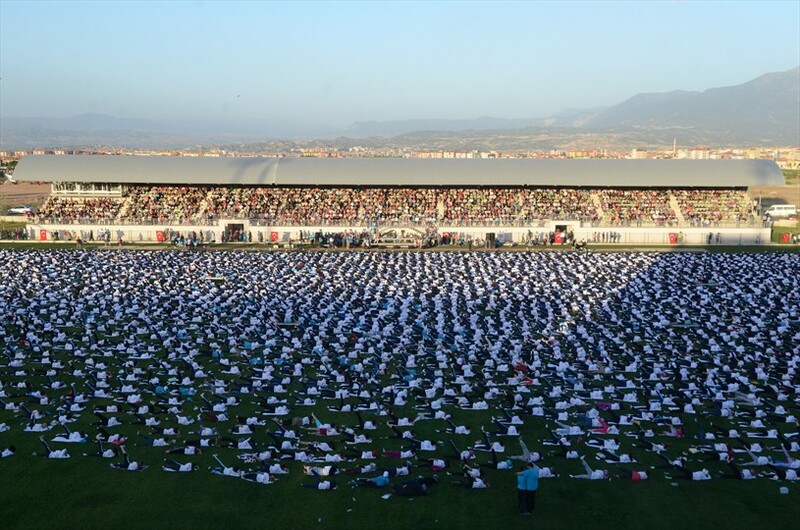 Annabel Lawday: 'Today we witnessed the largest Pilates activity. 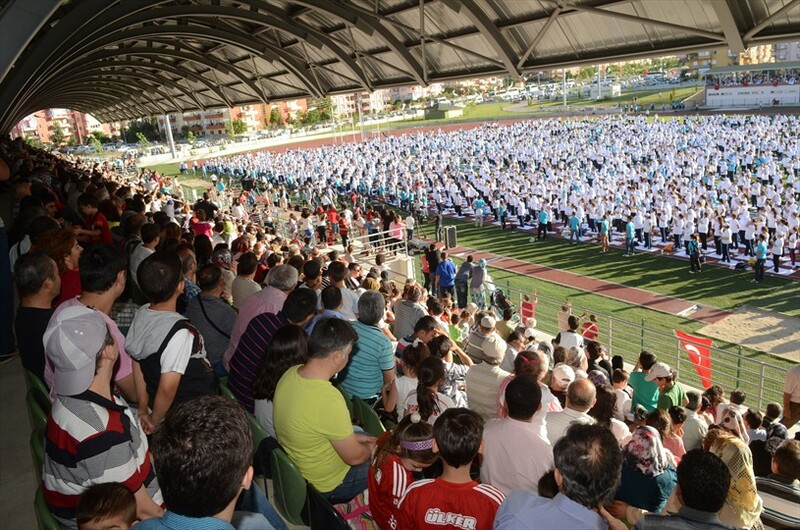 The previous record was made by 862 women in Madrid, Spain. 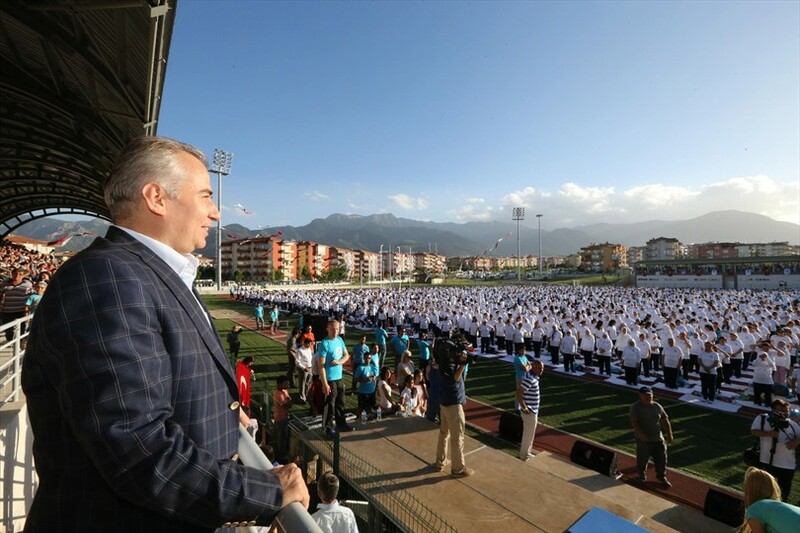 Today you have entered the Guinness Book of World Records. 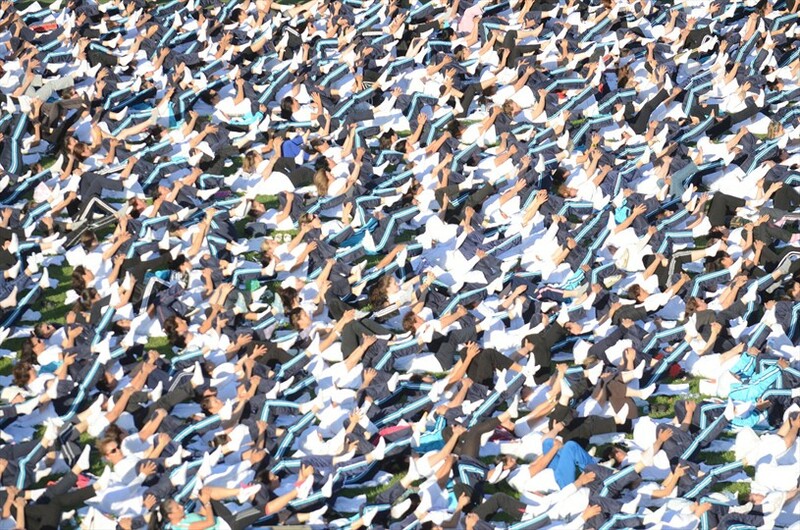 I congratulate all of you'.